Our password protected “members only” extranet site is your portal to all BrandSource programs, current and upcoming promotions and links to rebates, promotions, events, educational opportunities and more. Access the information you need, when you need, as quickly as possible. You manage your company “users” and decide who to provide access to and what they are able to see. 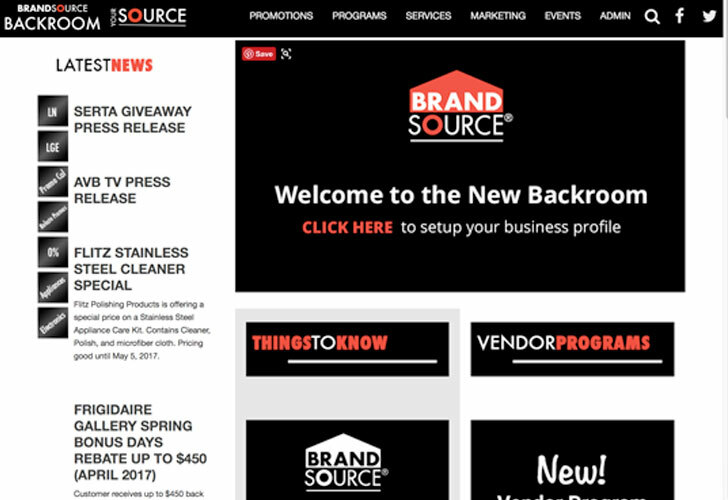 The BrandSource backroom is accessible from any device and was built on responsive technology with your smartphone in mind as well as your desktop computer.